We Whisk You A Merry Christmas! THIS PRODUCT IS A PDF DOWNLOAD that must be downloaded and printed by the customer. A paper copy of the pattern will not be sent to you. 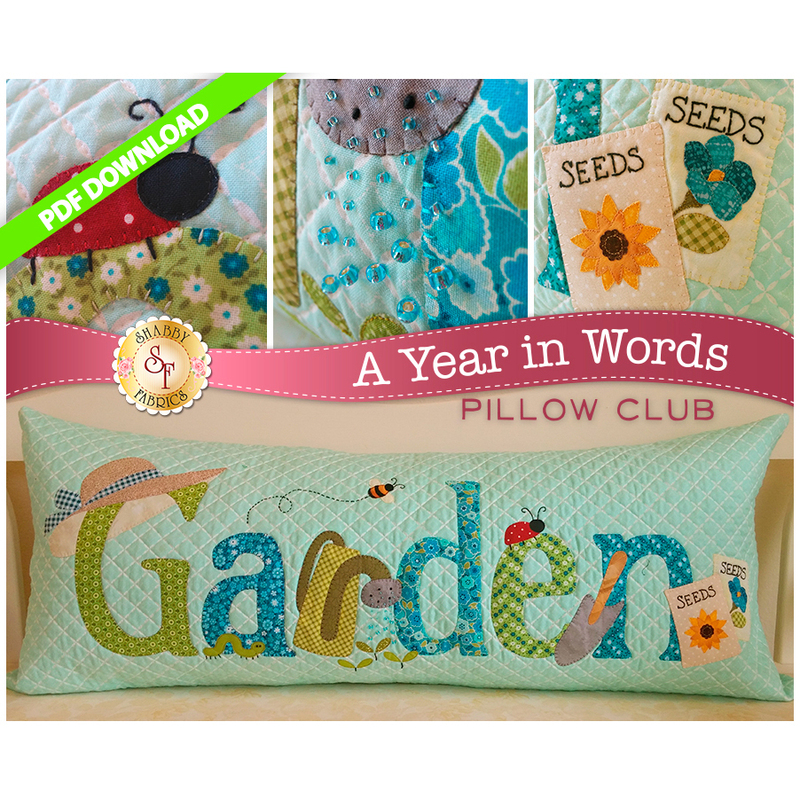 Add a charming touch to your home with this "Garden" pillow from the A Year in Words Pillows! 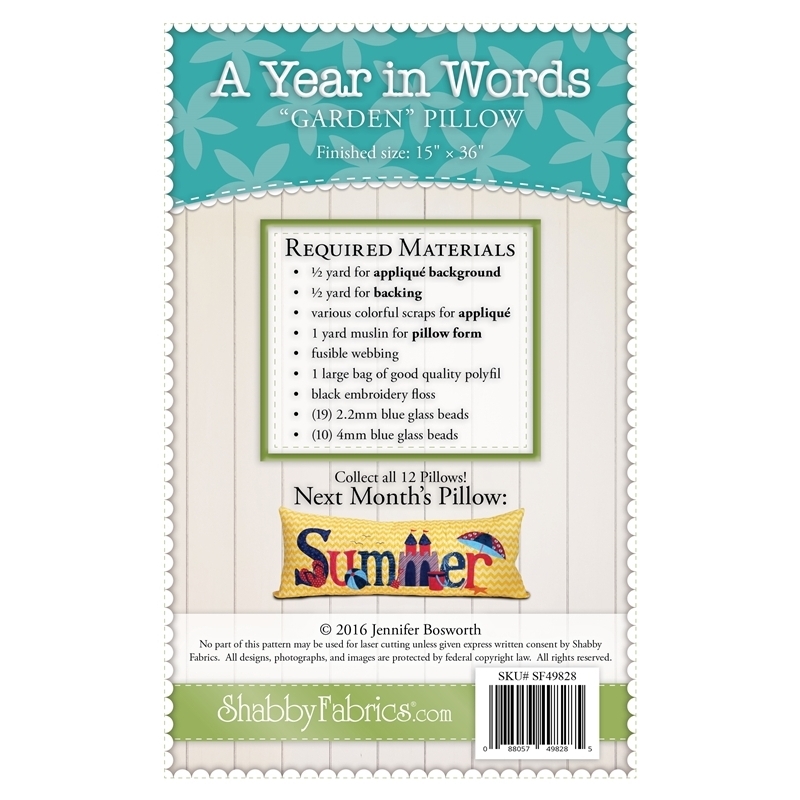 This Shabby Exclusive measures 3 FEET LONG x 15" high and has an envelope backing making the pillow form interchangeable. This product does not count toward the $75 for free shipping. We'll let you know when this collection is available. Copyright © 2019 Shabby Fabrics. All rights reserved. Copyright ©2019 Shabby Fabrics. All rights reserved.